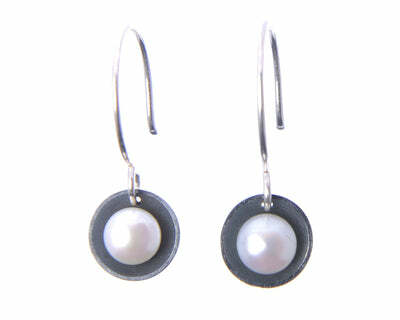 A beautiful rendering of the evil eye, these earrings are bold and playful. 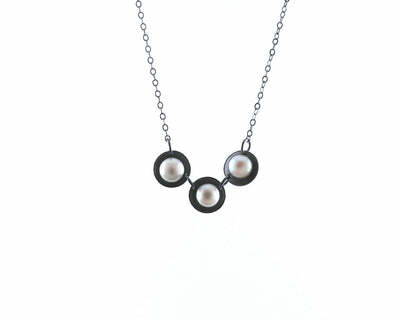 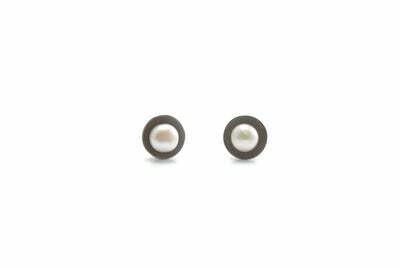 The pink fresh water pearls stand out against the oxidized silver finish. 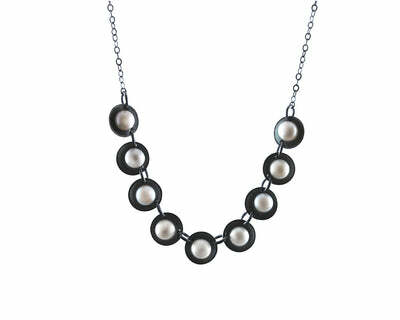 They are appx 1" in diameter but can be made to any size upon request.